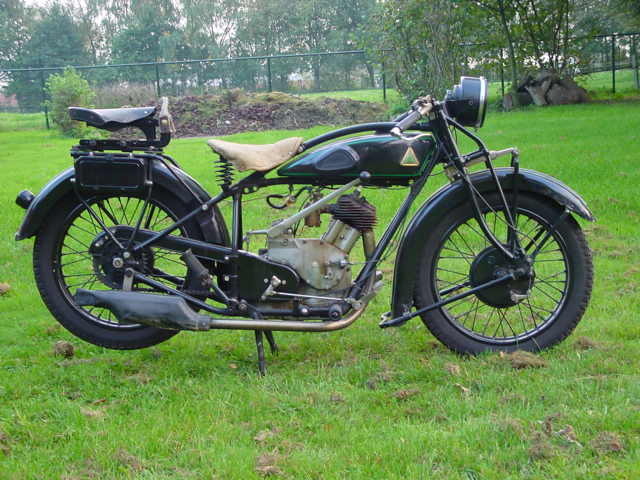 D-Rad motorcycles were produced between 1921 and 1933 by the Berlin-Based Deutsche Industriewerke and designed by the engineer Christiansen. 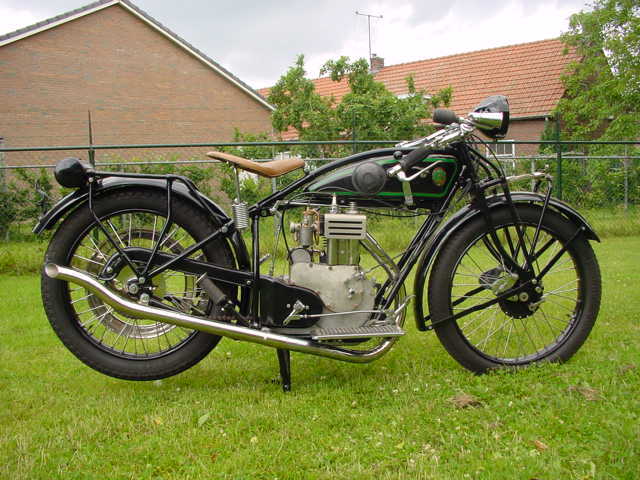 The machines were nicknamed Springboks from Spandau and constitute the archetype of 1920's German motorcycle design: sturdy, strong and well-built. 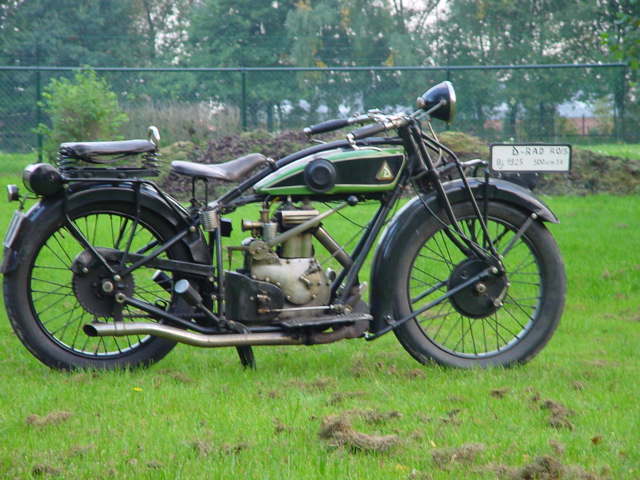 1925 D Rad R04, 500cc This R04 has a 497 (82x94) unit construction engine, hand –operated three speed gearbox and trailing link front forks with leaf spring suspension. The slender tank shape gives the machine elegant looks. 1928 D Rad R09, 497cc This D-Rad R09 has a 497cc (82x94mm) unit construction engine, hand-operated 3-speed gearbox and trailing link front forks with leafspring suspension. The slender tank shape gives the machine elegant looks, which are enhanced by the sloping engine. The sturdyness of the design is accentuated by the footboards and valanced mudguards.